Go to administrator panel > Payments > Settings (/admin/payments/settings/) to manage the site currency. Select your currency from the list or create a new one. To create a new currency, give it a name, abbreviation, and select decimal separator, groups separator, decimal places and currency format. Do not forget to save the changes. 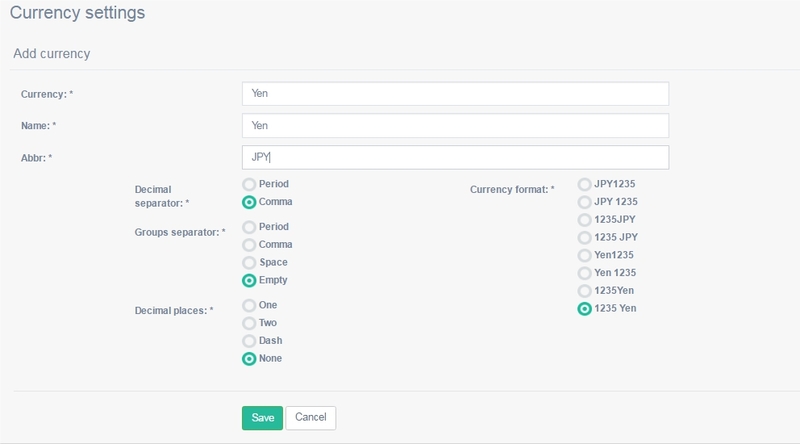 Currency rates tool is here to help you convert the money on people’s accounts into another currency, should you decide to change the site currency. ‘Automatically updated currency rates’ means that the rates will be updated by cron.